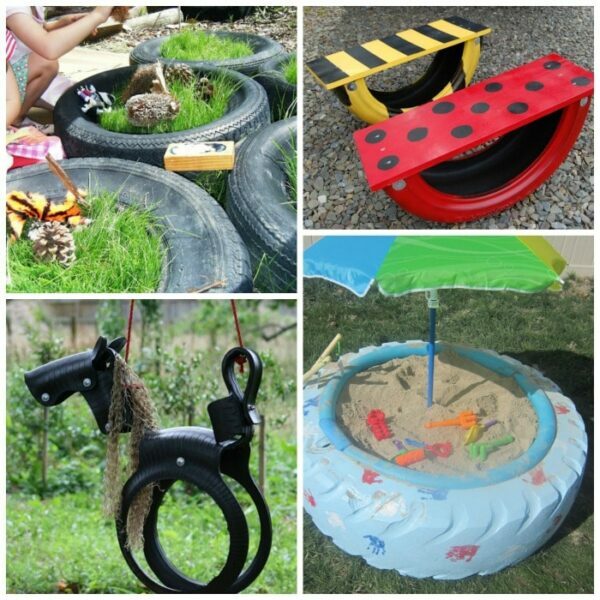 Home » Uncategorized » 17+ Ways to Reuse Tires! Many moons ago, I got hold of 2 old tires from our local garage and used them for my son?s Cars Party! Afterwards, I gave them to our local school for the kids to play with in the school garden. 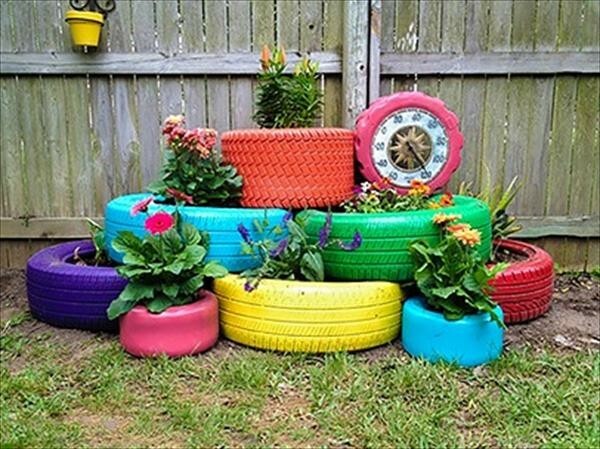 But since then I have been thinking about and wondering what are great ways you can reuse tires in the home and garden. 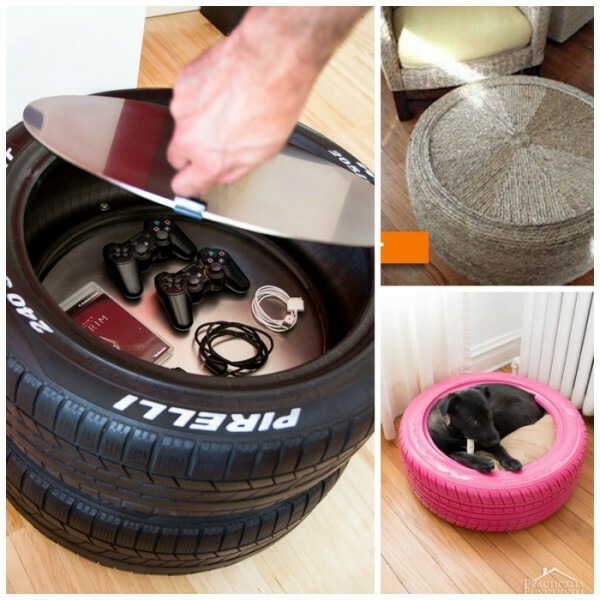 So finally, I have put some of these tire DIY ideas together for you. I think out of ALL of the ideas below, my favourite is the Tire Balancing toy. It looks simple enough to make and I love that you can play with them in practically any sized garden (ours is small). But, I do like to ooh and aah at some of the bigger ideas and one day, when my house and garden are big enough? who knows! Note: I have made an effort to ensure that ALL DIY ideas are sourced and linked PROPERLY. If you spot something that I have accidently incorrectly linked, please let me know and I will try and fix the link! 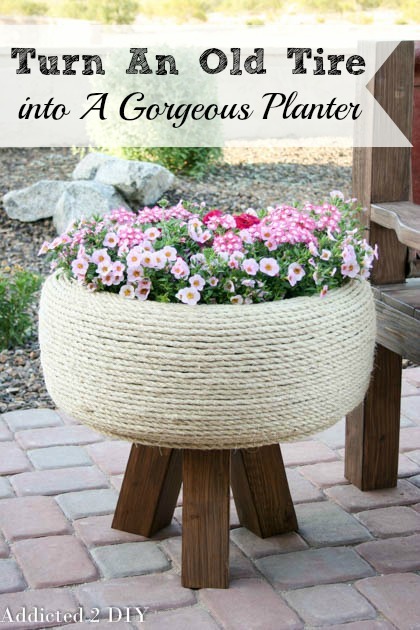 A popular craft for tires appears to be TIRE PLANTERS? there are a surprising amount of different ways to use a tire to plant in the garden.. here are some of my favourite! Here is a colourful ?rockery type? 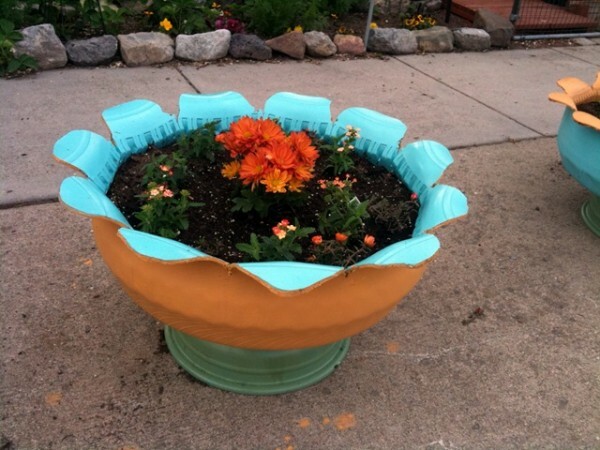 garden tire planter that looks bright, colourful and cheerful! Visit Handimania for info! 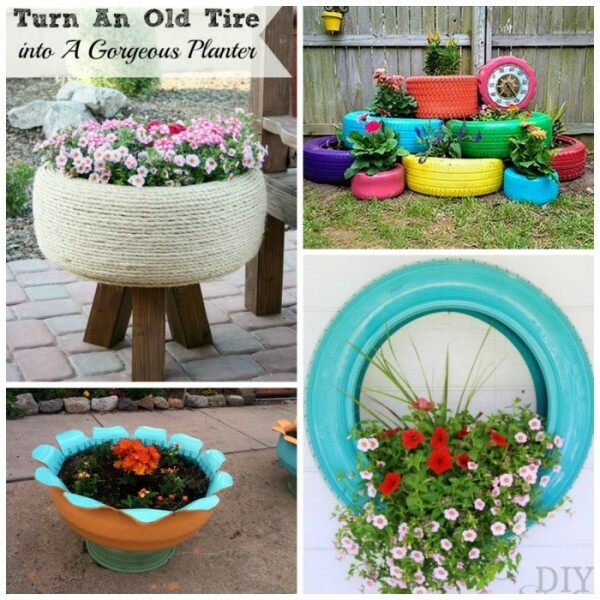 Love how fabulous these Tire Flower Planters look. Find out more over on DIY Show Off! And wow! 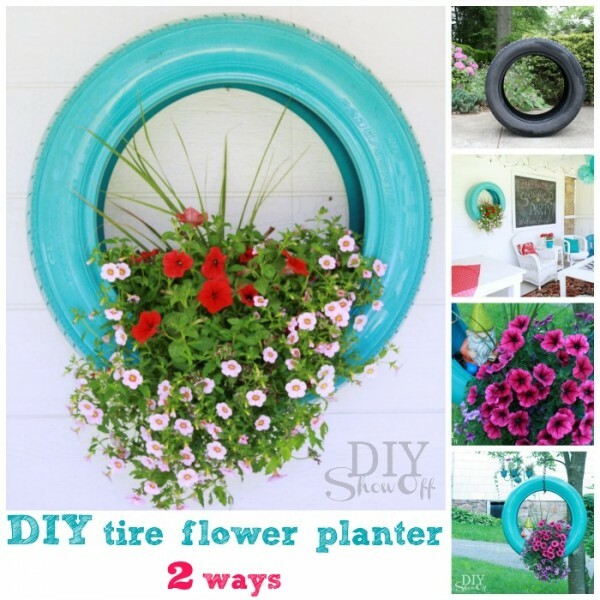 Here is another really cute way to turn a tire into a cool and fun flower planter! Check out Addicted 2 DIY as to how to create this version! And yes.. ANOTHER Tire Planter Idea! Isn?t this one genius. Visit Janis Zettel for full info!!!! Did you know that tires are perfect for turning into a water feature too? 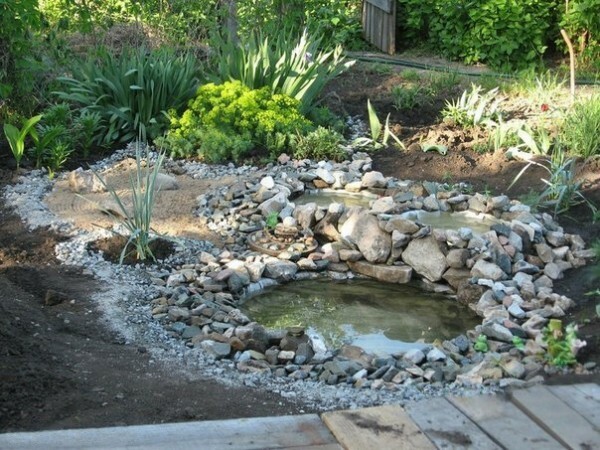 Create this fabulous tire pond with instructions from Handimania! Here is a super fun FROG!! Love this little guy from two women and a hoe! ?Hop? over for full and helpful instructions! 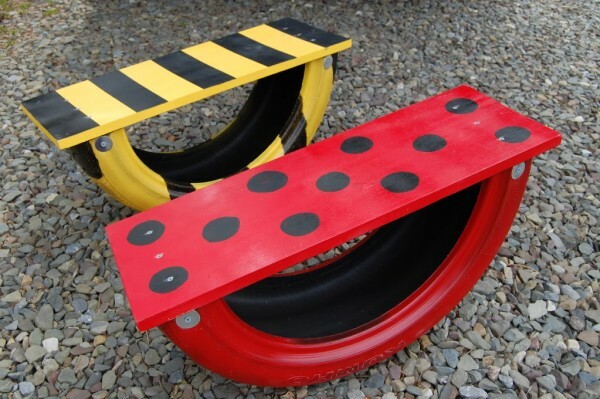 This section highlights some WONDERFUL DIY ideas for tires to turn them into PLAYTHINGS for kids. 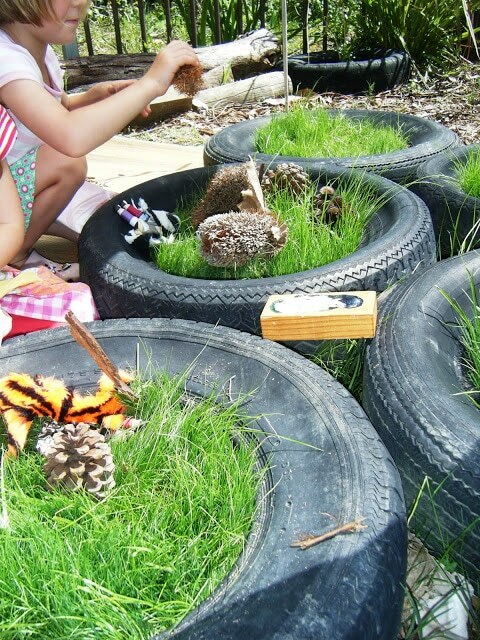 What a great way to have some fun items outdoor and teach kids about upcycling! These ideas would work well at home or a day care environment. The planting THEME continues.. here is a perfect one for KIDS t help make.. and that will support hours of imaginative play! 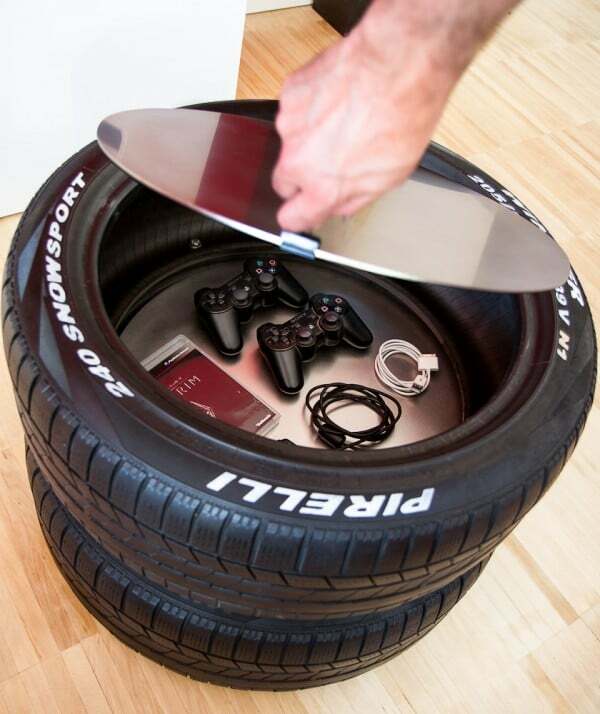 Turn your Tyres into Play Tyres!! Find out more from Let The Children Play! I adore these Tire See-Saws? I have been ?eyeing them up? for many years, as they look fantastic AND would actually fit into our small garden. Find out how to make them over on According to Boyle! Here is a super cute Tire Swing. 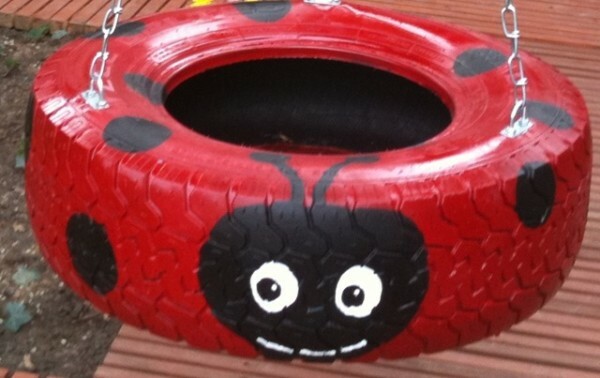 Of course you can leave your tire ?plain black?, but I adore how they have turned this one into a Ladybird!! Find out more on Janis Zettel! Now.. I have to confess.. our garden is no where near big enough to have a tire swing.. AND I simply do not have the DIY skills to make this tire swing. 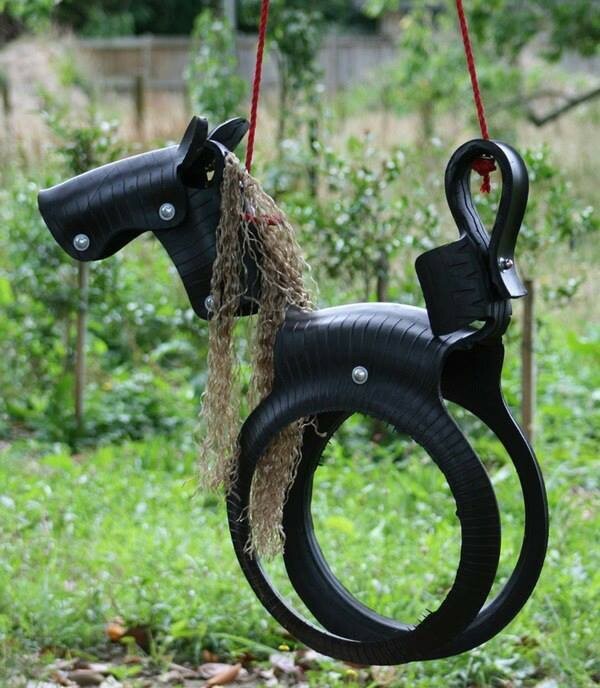 BUT I had to share this with you none the less, because I think this tire horse is simple the best DIY garden swing I have seen in a LONG TIME? and there must be some defty DIYers out there that could rustle up one of these in a couple of hours no problem (in fact, I reckon my sister in law would be pretty good at this).. oh how I long to have one! Visit Goods Home Designfollow for more info! 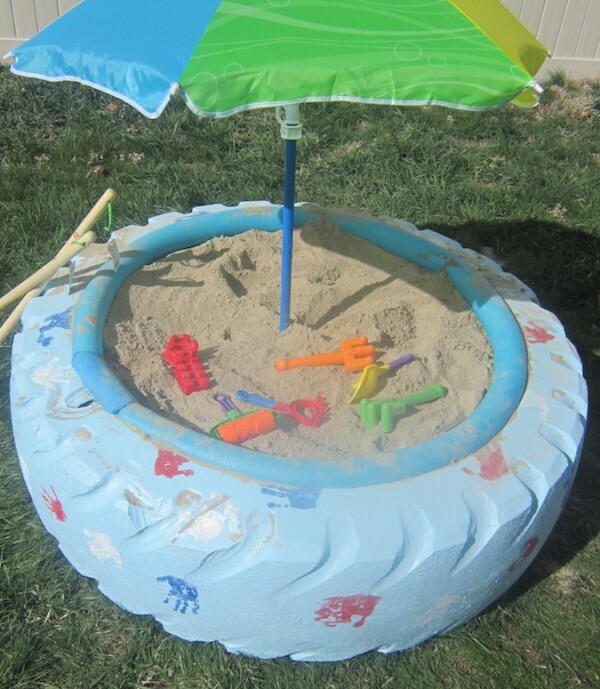 Love this tire Sandbox idea. How cute. Visit I Heart Naptime for DIY info! 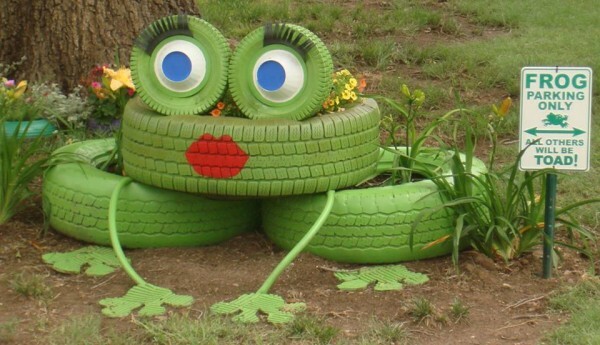 Though tires are PARTICULARLY popular for garden DIYs, there are also some great Tire Ideas for the home! They are sturdy and durable and fun! Here is a clever use for a tire ? 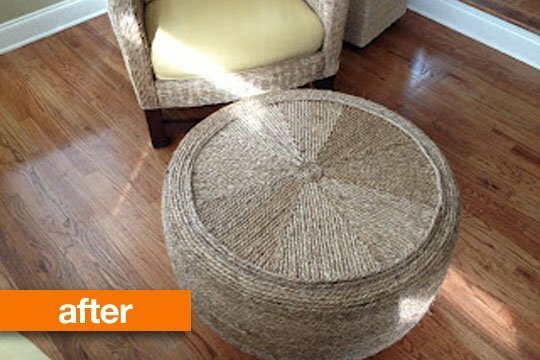 make a Tire Ottoman/ or small table for the home! Super clever. Visit Apartment Therapy for info! This FABULOUS but simple Coffee Table and storage idea can be found over here! 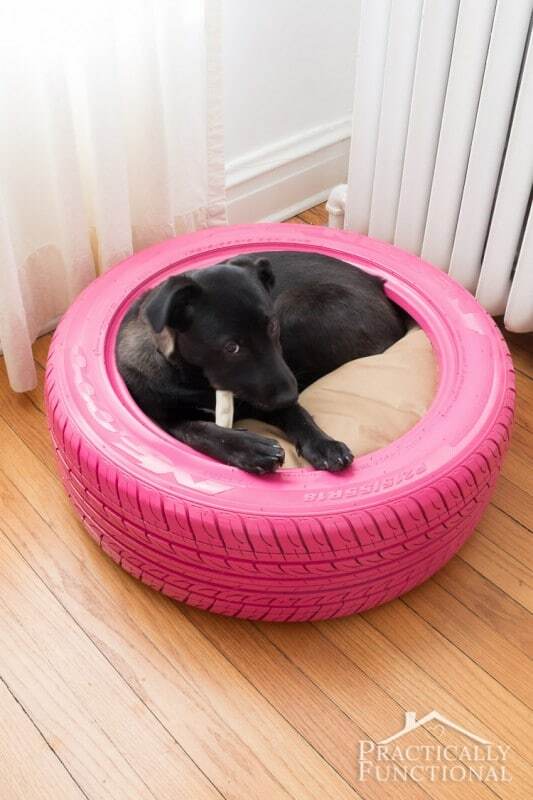 I have to say, I really LOVE this Tire Dog Bed Idea. Especially since our dogs used always drag the beds all over the place and also damage them. This one looks cool and will last. Practically Functional has all the DIY information for you! Tire Buckets ? I apologise that this video doesn?t contain instructions.. but I LOVE this idea.. and wanted to share regardless! And finally.. if you think you hvae seen it all! 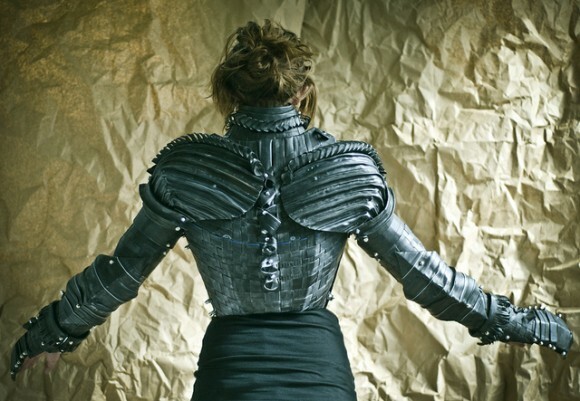 Take a look at this AMOR SUIT made from tires! Wow. This post has no instructions, but seriously.. sometimes it is cool to just HAVE A LOOK! Find out more over on The Mary Sue!